Are you an owner of man's best friend? I am. My dog is my baby next to my two kids. Well, I treat him like my baby. I want the best for him. I have a tiny Yorkshire Terrier named Cocoa who is about 7 lbs., although I call him the Yorkshire Terror sometimes. He has been known to kill snakes. One time my oldest daughter was walking him and he saw one, freaked out, ran from my daughter and killed it. I am terrified of them, so I was very pleased that he protected her like that. Cocoa always had a plain blue collar that I had purchased for him but I wanted something snazzy and I wanted something with his name on it. 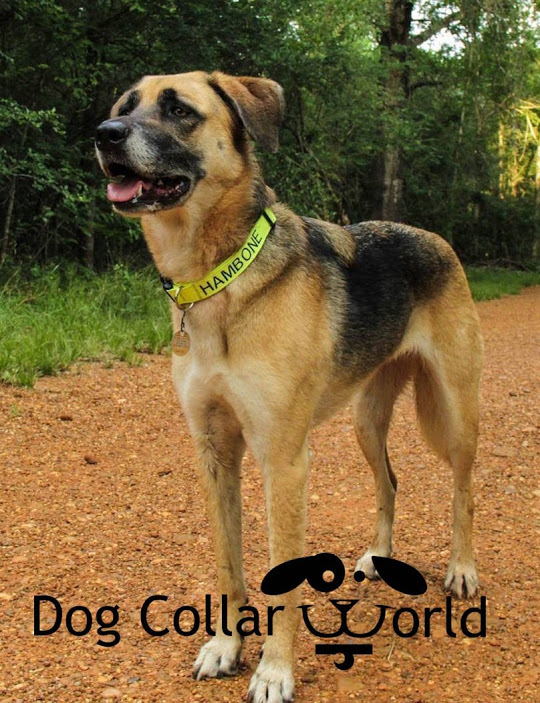 I was approached by a company to try the collars from Dog Collar World. These collars are the cream of the crop. They are beautiful, snazzy and they have ones that GLOW IN THE DARK! How awesome is that? So good for nighttime walks. 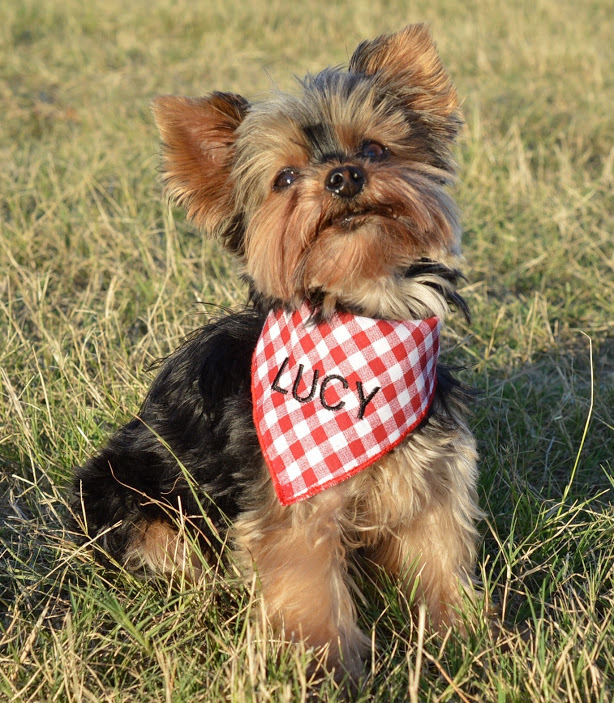 The collars can be personalized with the dog's name and phone number. 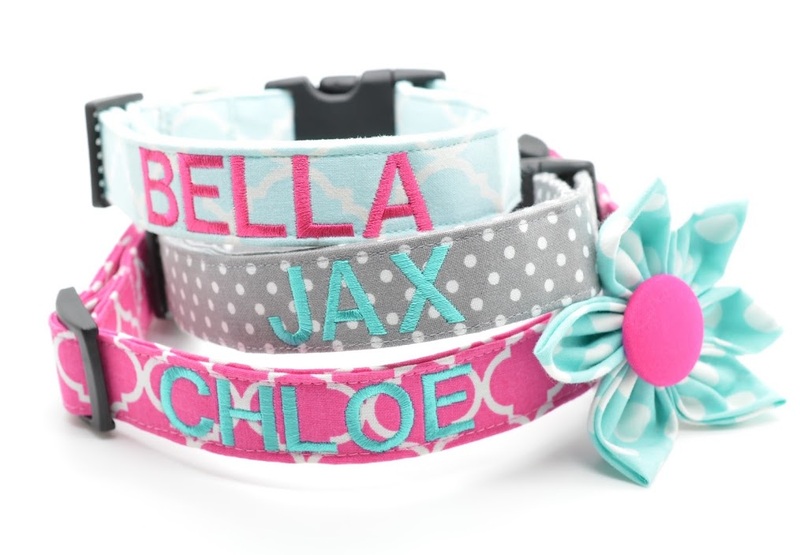 The collars are fashionable and the embroidery is directly on the collar. 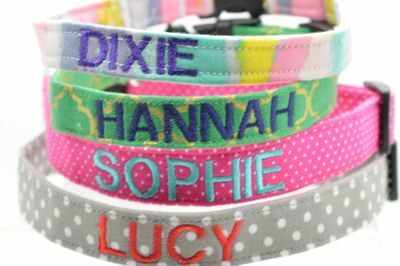 Embroidered dog collars look excellent while also providing a measure of security in case your pet becomes lost. They have over 30 embroidery thread colors available so any of their patterns will look good embroidered! As you can see, I got a black and white starred collar with his name embroidered in bright green. Since he is a boy, I think this looks appropriate. And it is one of the GLOW IN THE DARK collars. The collar is $7.00 and embroidery is $5.00. To embroider the phone number it is an extra $5.00. He has a tag with his address and phone number on the collar. I think it is a very nice collar. It was easy to transfer all of his tags. He doesn't seem to mind his new collar at all. This might make a good holiday gift for your dog. Or just an everyday safety gift for a dog. You can get this for someone else's dog.